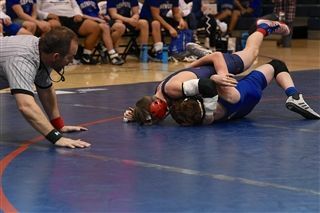 Wrestler Eli Griffin remains undefeated and will lead the team into the state tournament this weekend in Oklahoma City. Eli will be seeking his second state championship. Cameron Oliver placed 2nd, and Jake Weller and Marche Ashford placed 4th. Grant Baber also qualified, and all have a great chance of placing in the state tournament.